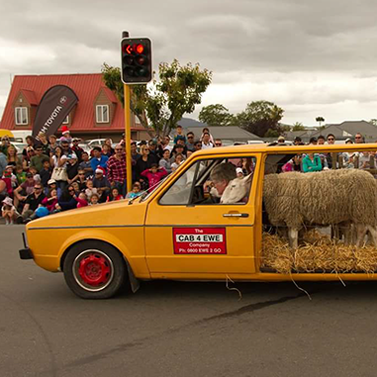 A quarter of the region will line Madras Street (between St Asaph and Kilmore Streets) Christchurch on Sunday, December 8, to watch the Santa Parade presented by the Christchurch Children’s Christmas Parade Trust. 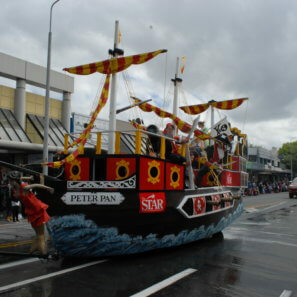 For over 72 years the Christchurch Santa Parade has brought joy to the children of Christchurch and its environs. It has a history filled of fun, excitement and fantasy. The parade will start at 2pm sharp from the corner of Madras and St Asaph Streets and ends approximately 3pm at the corner of Madras and Kilmore Streets. The route is 1.2 kilometres long. If the parade is postponed it will be held the following Sunday December 15. A decision to postpone will not be made before NOON. Listen to THE BREEZE 94.5FM or 92MOREFM. BUS SERVICES – Avoid parking hassles and take the bus! Timetable information available at metroinfo.co.nz or call us on 366 8855. Help us keep the Santa Parade going. 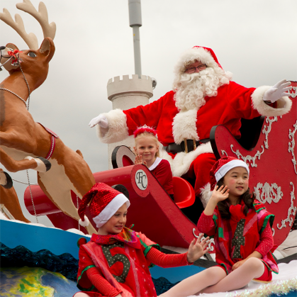 The Christchurch Children’s Christmas Parade Trust has a commitment to the children and citizens of Christchurch and its environs to hold the Santa Parade annually.